This 1-owner 2017 Mazda CX-3 in Titanium Flash Mica arrives on trade from our Volvo facility in excellent condition with just 14,440 miles. It comes very well equipped as a Touring model with factory options including Heated Sport Seats, Advance Keyless Entry, Rear Camera, Moonroof, Bose Sound System, 7" Touchscreen Media Display and more. 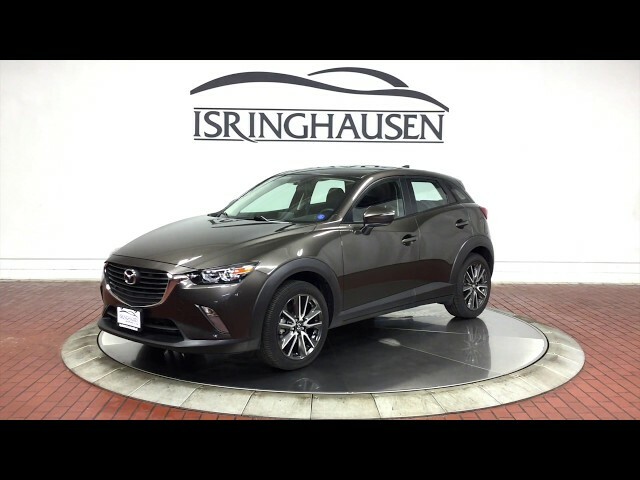 With undeniable styling inside and out, the Mazda CX-3 offers a simple, sophisticated and sporty driving experience with the everyday utility of a crossover vehicle. Contact a Pre-Owned sales specialist today by calling 877-362-9715. Isringhausen Imports is Central Illinois' premier new car, used car and certified pre-owned (CPO) dealership for quality BMW, Porsche, Volvo and Mercedes-Benz vehicles. At Isringhausen Imports, we have become a leader in the industry by working each day towards the greater good of our customers, our fellow employees, and our community.